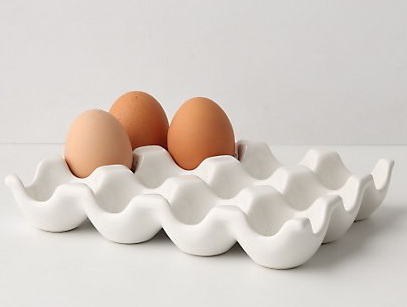 Marianne at Style For Living was giving away one of these ceramic egg crates last week. 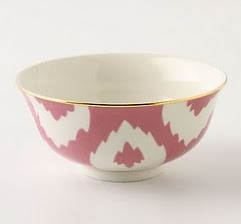 I didn't win, but really liked the idea of displaying our Easter eggs in it so when I saw them at Anthropologie today I treated myself to one. And made a little place for my everyday jewelry! I'm thinking the Easter eggs may need a new home! What a nice idea. Love the egg crate for jewelry! Love it! Organized and chic.